Update 3rd Sept: Looks like the release date might be 21st November, excellent! Original post: Slightly Mad Studios have shown off the upcoming Project CARS again this week with a gorgeous slow motion trailer that gets you thinking about about the handling and physics of the games. 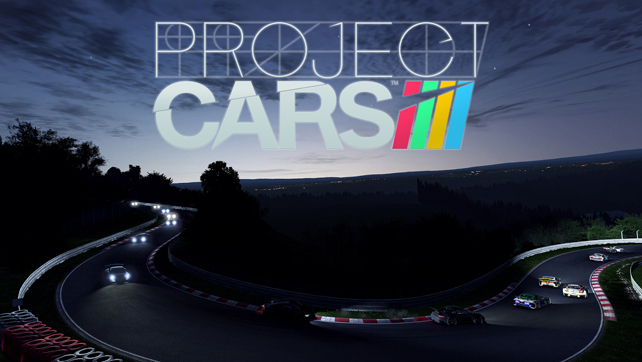 By showcasing the response of the cars to the track surfaces, and the variety of vehicle types, it’s beginning to look like Project CARS will be a corking racing game – and it needs to be because it’ll have some stiff competition at the end of the year with DriveClub and Forza Horizon 2 both due. The car roster itself is very impressive covering everything from stock supercars, through Le Mans specials (meaning we’ll get the Sarthe track then? ), to open wheel, so we should see a fair few different disciplines to master through the comprehensive career mode. Inside the career mode, the Historic Goals option is making our heads turn. These are specific challenges asking you to emulate the achievements of the greatest motorsport drivers of all time, which should add an interesting challenge to think about alongside the usual win the championship mentality. What’s interesting about the career approach is the Burger King “have it your way” idea – you choose how you approach the whole mode and tailor it to your passions and skills, something that most racers don’t do. There’s equal focus on the aspects outside singleplayer though, with Community and Online making up a large chunk of the philosophy of Project CARS, even though they are a bit light on details at the moment. Finishing the sim focus of the game though is the support of a lot of racing wheels and peripherals, and that PC gamers will find 4k image support and nVidia Shield remote play. This is an ambitious game and we only hope the balance between realism and playability is right across all platforms. Without doubt, Project CARS is a fine looking game (just check out the stills below), and as it’s being brought to PlayStation 4, Xbox One, PC and Wii U by Bandai Namco Games, we’re hoping that everything we’re seeing is representative of the finished product when it comes out in November this year (2015 for the Wii U). This looks great and a what a lovely trailer! I really can’t wait for a decent racing sim on the PS4, I was so disappointed when GT6 only made an appearance on the PS3, that made it the first iteration of the main game I’ve not bothered with. It’s phenomenal to look at, and the detailing in those photos is immense. Can’t wait to get my hands on that game, especially if the physics respond as well as the vid suggests.